You will be spoiled for choice! 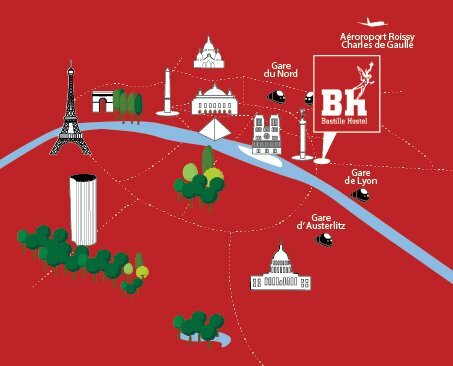 Theme bars, sports bars, traditional pubs, traditional Paris cafés lined with old posters … the heart of the student quarter, the area between the Sorbonne and the Pantheon, is the kingdom of bars with cheap drinks and a super-festive atmosphere. 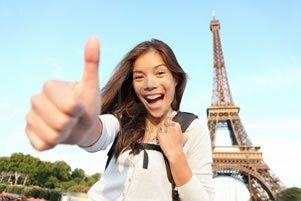 Key nightspots include: rue de la Montagne-Sainte-Geneviève, Rue Mouffetard and to finish of, place de la Counterscarp with a little mousse. If you like being in the spotlight (literally! 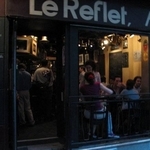 ), the le Reflet is the place for you. Opposite the art-house cinema Reflet Médici, this small and friendly bar, built as a film set, is ideal for a drink, for a snack at noon or to read a book alone between classes. In a vaguely highbrow atmosphere, people chat about art and politics, surrounded by posters of cult movies, stills and portraits of movie stars. 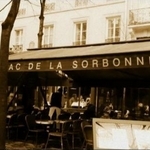 Facing the first rays of spring sun, the terrace at the tabac de la Sorbonne is the place to relax between classes sipping a coffee or chocolate (forget about meals, they’re far too expensive) with views over the square. The waiters in white and black livery add a nineteenth century note to this place, which is already steeped in history. In the dark cave of the pirate “Mad Maker”, the walls are covered with nautical charts straight out of Treasure Island, the sails of a ship float on the ceiling and sailors huddle around barrels to drink beer. Here, the greatest danger comes in the shape of the high stools that seem to have been made to induce dizziness. There’s a little bonus for cigarette addicts: a smoking room opens at 10:30pm. Passing by for the first time, the students from across the Channel can not believe their eyes: a real English pub with wooden tables, carpeting and beer flowing freely, right next to the Pantheon …! 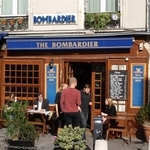 At Bombardier, the atmosphere is festive and it is easy to get rounds together, especially on Monday (happy hour all night for students). At noon, there is British cooking on offer, including hamburgers, English breakfasts and Sunday roast dinners, just like at home! 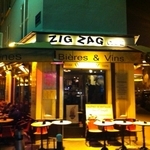 This tiny bar with a reggae and Afro-Cuban atmosphere is known for serving the best mojito in Paris. If purists prefer the “original”, the menu has several variations of the Cuban cocktail, and many other mixtures (batidas, caipirinhas and caïpiroskas). 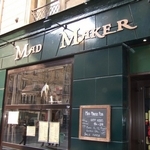 A few steps from the Sainte-Barbe and Sainte-Geneviève libraries, this bar is decorated with large crooked letters and staffed by entertaining bar servers, it will divert you from you books through enticing “happy hour” offers. There is a delightful little room in the basement, decorated in an offset bourgeois style (Persian rugs, tables and flashy sofas). You can rent it for free to celebrate your birthday just like at home. 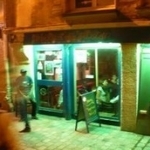 Facing the former home of Verlaine, this is a pocket-sized pub where the atmosphere is young, chilled and it goes without saying, bohemian. Add €1 to you bill and try your luck with the toss. If you win you will receive a free shot with a long list of mixtures to choose from, including the exquisite Reims Cochon (melon champagne). 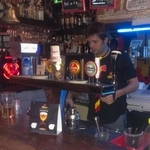 With regards to beer, there’s a special mention for the Chouffe.. 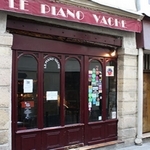 Since 1969, the Piano Vache has seen its dilapidated benches used by generations of students who have made this dark Parisian boozer with its quirky rooms a true student institution. A temple of rock and its variations (pop rock, gothic, punk, etc. ..), the Piano Vache has lost none of its charm and still offers a wild atmosphere every night. To enjoy without moderation.